I read this article and found it very interesting, thought it might be something for you. The article is called The Tide and is located at https://www.totallydublin.ie/event/the-tide/. 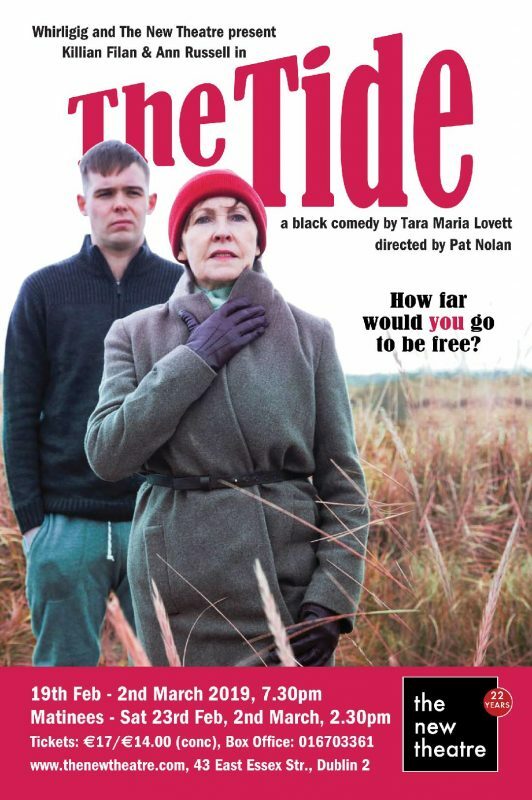 Whirligig Theatre and the New Theatre are delighted to present The Tide a new play by Tara Maria Lovett. The cast consists of Killian Filan and Ann Russell. It is directed by Pat Nolan and produced by Sine Lynch. Together they create a black comedy about the lengths this unlikely pair will go to, to make their dreams a reality. The Tide is set in rural Ireland where seemingly ordinary people who never did anything “out of the way” decide that change must come. They use a Nissan Micra and the memory of a dead goldfish to hatch a plot to make their dreams come true. Once they start on the journey there is no turning back. Once they start they have to go where the tide takes them.